#Shareyoursketch with us on Instagram! I am in the business of making motifs. 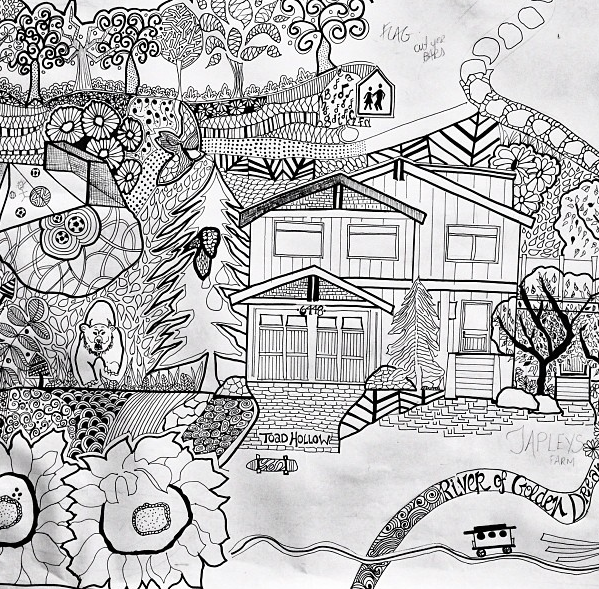 It takes a lot of time doodling and mark making. Time to practice and try new things. I need all the inspiration I can get so thought it would be fun to try and get others to share their work. 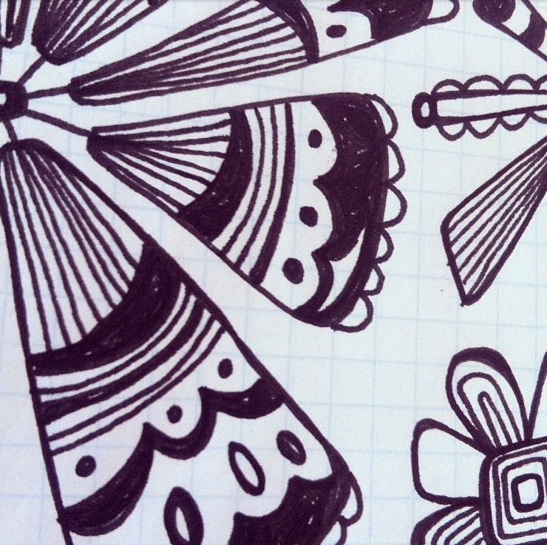 Here is what is inspiring me lately on #shareyoursketch. Heather Dutton (@hangtight) of Hang Tight Studio shares proof that inspiration can come from anywhere. This quirky character is the result of a blob of coffee spilt on the floor. Heather is pretty active on Instagram. The next two are also some sketches that Heather shared. 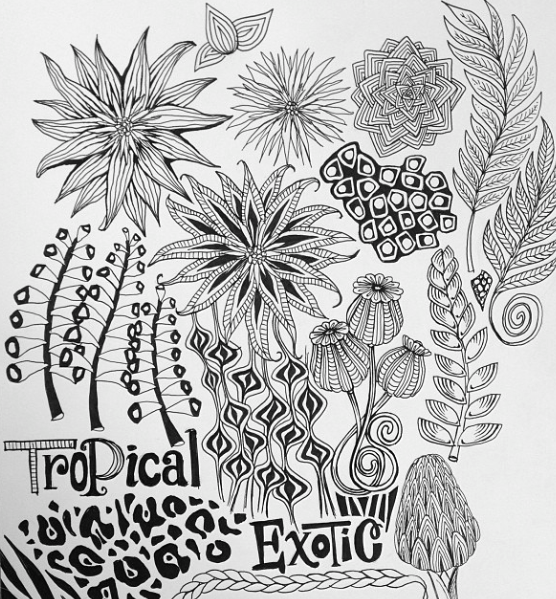 Some more doodles waiting to get turned into pattern.. Mary Tanana (@groovity) of Groovity Designs shares her tropical doodles, a result of her time in Make Art that Sells. I believe these were used for the tropical fusion bloghop which you can see here - beautiful! 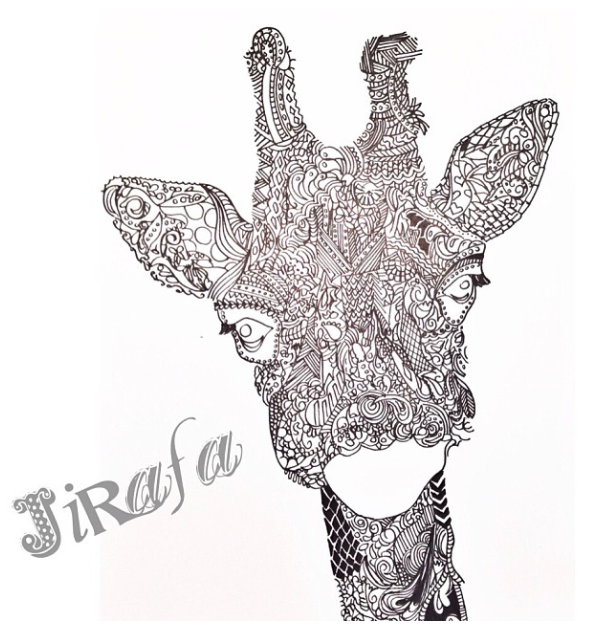 I love this giraffe all zentangled up shared by Angelica Venegas. (@portallerdepapel). This drawing was done by her daughter Rocio. 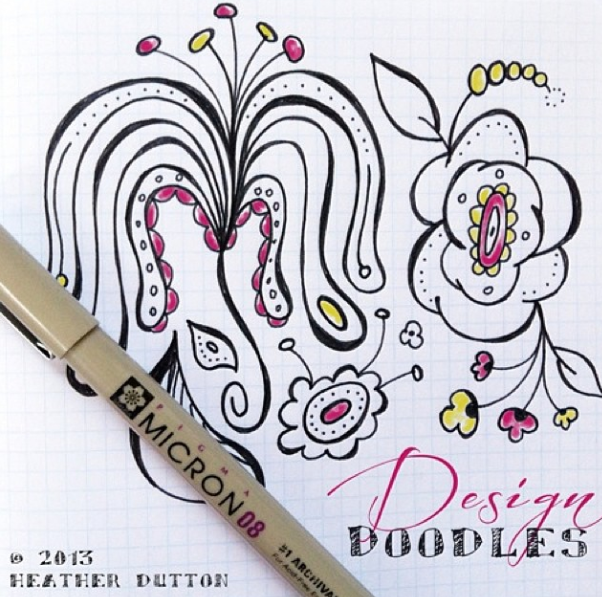 Her zentangle work looks fantastic here and has inspired me to try some of my own. 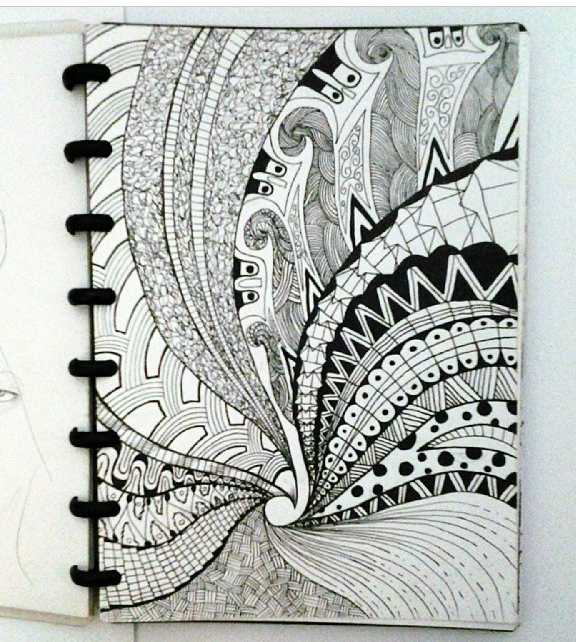 Here is another zentangle sketch courtesy of Aryanda Septian (@Ariyandaaa) from Indonesia. Her Instagram feed is full of beautiful sketching, shading and lots of portraits. A whole other world I have yet to explore. This hipster, shared by Lori Leissner (@leissnerart) just makes me smile. 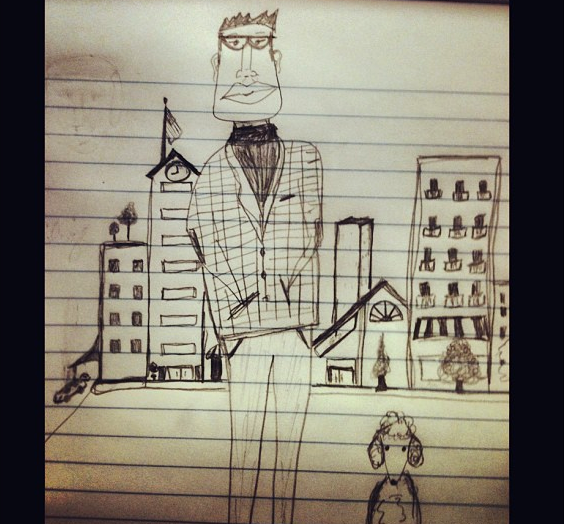 I love his look and his poodle pooch companion. I could see this character developed in so many ways. Lori was in a very loong meeting when she shared this. Sketches can be in color too! 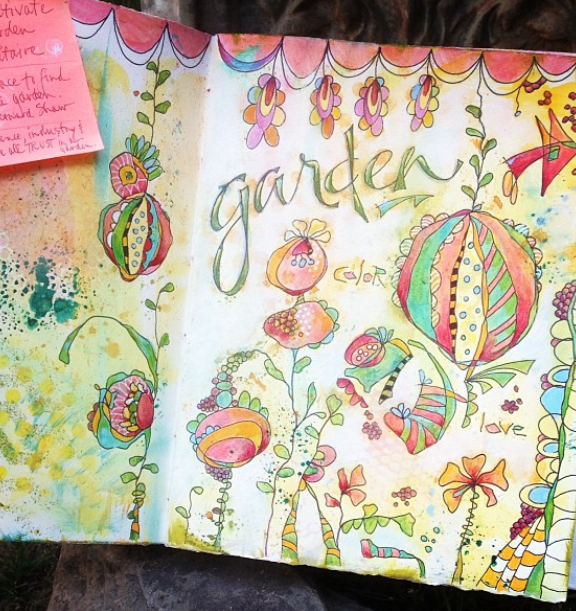 I love this one by Pam Keravuori (@pamkeravuori) created while hanging at the waterpark with her young daughter. 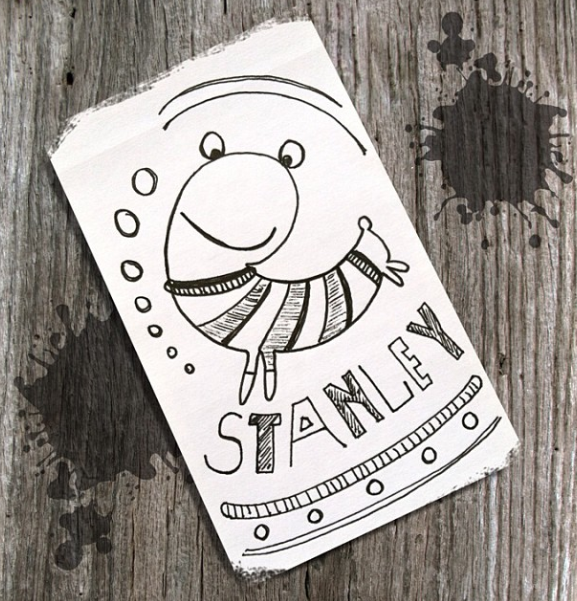 That made me laugh - I first started doodling while spending many an hour at the park with young children in tow. There is lots more color and wonderful type on her feed. Feeling inspired? Come and share your sketch with us then! I will be posting some here on my blog every week so that others can get inspired and make new friends on Instagram. Enjoy your weekend!